If you’re like me, you may suffer from dry hair. And wearing satin caps to bed or during the day can be a great way to keep your hair moisturized day and night. But most of the satin caps available are very unattractive. So I would only wear them in my bedroom and remove them when I would leave my bedroom in the morning. I would never wear them outside of my house for fear of looking unkempt and a hot mess to my neighbors. Since these satin bonnets were really all I’ve known my whole life, I never even dreamed that something better existed. One day I was reading a hair post in an online magazine and the post mentioned this thing called a SLAP Cap. I had no idea what this was and decided to do a little investigation on of my own. What I found was info on the Grace Eleyae's Satin-Lined Caps (AKA SLAP Caps). What I found astounded me. After reading all of this, I really wanted a cap, but they didn’t fit in my budget at the time. So I dreamed of owning one and made do with the satin bonnets I had. Read more: What Is Protective Styling? After about a year I couldn’t wait any longer. I bought two caps - one in gray and one in yellow both in the medium size. Believe me. It was hard to narrow it down to two colors because the SLAP Cap comes in so many great colors. There’s red, blue, pink, purple. Just about every color of the rainbow. I was so excited when I got the caps but was disappointed when the gray one was so tight on my head it gave me a headache and I couldn’t wear it for more than a few minutes at a time. 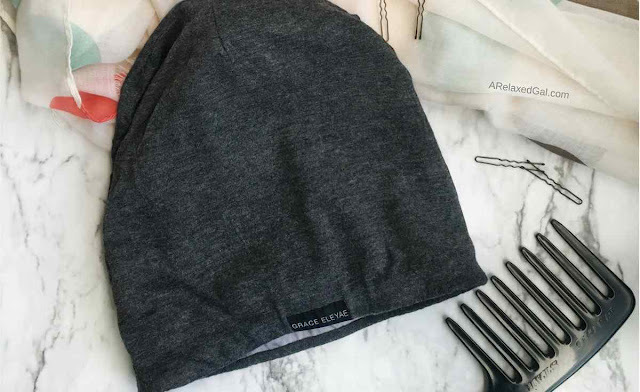 I ended up contacting Grace Eleyae about my issue and they responded right away with a shipping label so I could return the gray cap for free and exchange it for a large. The return was easy-peasy. Probably some of the best customer service I’ve ever experienced. Don’t come off or shift much on my head when I sleep. With typical sleeping caps, I would sometimes find the cap on the other side of the bed or on the floor when I got up in the morning. The elastic band in the SLAP Cap keeps it in place all night. There’s plenty of room in the cap for my thick hair so I can definitely see it working for someone with braids. I feel comfortable wearing the caps out in public. I wear them when I’m driving in the car and to the store if I don’t have time or energy to do my hair. My hair doesn’t dry out when using them. When I would wear my satin bonnets, my hair would sometimes feel dry even if I moisturized and sealed the night before. I am a true advocate of the SLAP Cap and recommend it whether you want a satin lined beanie to wear during the winter or a cap to wear at night. If you decide to purchase one, here are a few tips. Don’t be afraid to exchange for another size. Tips on the site tell you to go smaller if you’re in between sizes. I did that, but as I mentioned above one of the caps I bought felt so tight I couldn’t comfortably wear it and I ended up exchanging it for the larger size. Buy your cap during a sale. 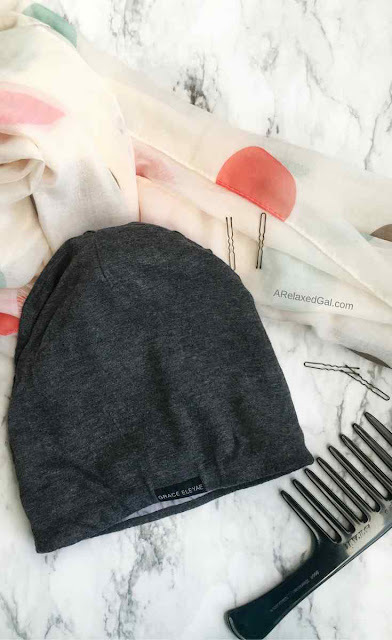 You can save a little bit of money as the regular price for a cap is about $30 before shipping. Hand wash the cap. While the care instructions say you can wash the caps in the washing machine I didn’t want to take any chances and only wash them by hand. Be careful with hair products. Some hair products can permanently stain your cap. I've read reviews from users who have experienced this and I've noticed some staining on my lighter colored cap. The little tag on the cap can be annoying but can be removed. Have you tried the SLAP Cap? If not, what do you wear to protect your hair? I should try this out! My hair can be so dry and desperate for moisture!